Well, for all John Dumelo fans in Ghana and broad, Dawuroo.com is pleased to inform you that John Dumelo has finally uttered the two magical words that mysterious binds two people together forever without a glue, the “I Do”. John Dumelo got married today to a beautiful young lady called Gifty Mawunya somewhere in Spintex. 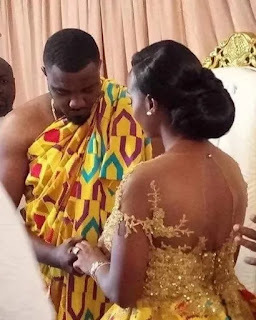 It is true that John Dumelo has broken many hearts and has at the same time fulfilled the dreams of many of his fans who wanted to see him married. 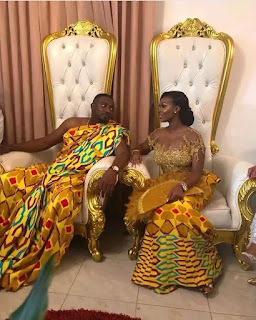 Well, Dawuroo.com has received a photo of the solemn moment when John Dumelo uttered the “I do” and put the ring on the finger of Gifty Mawunya to make her his.